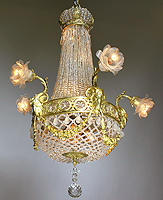 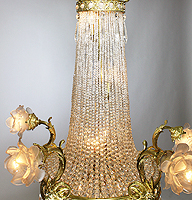 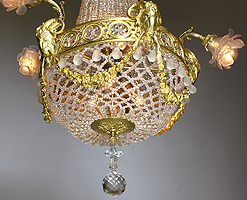 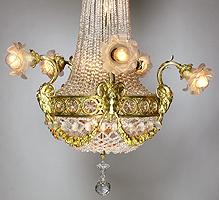 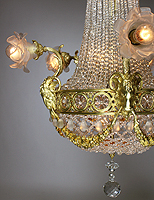 A Fine French 19th/20th Century Louis XVI Style Gilt-Bronze and Beaded Glass Twelve-Light Figural Chandelier. 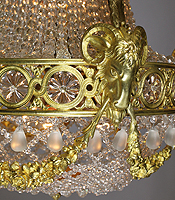 The ornate gilt-bronze frame surmounted with six scrolled outer lights fitted with floral frosted glass shades, each above gilt-bronze Royal ram-heads joined by floral wreaths above a weaved interlaced glass-beaded basket with frosted glass tear-drops, the top with strands of glass beads below a gilt-bronze crown canape with frosted glass-bead insets, the interior with seven lights. 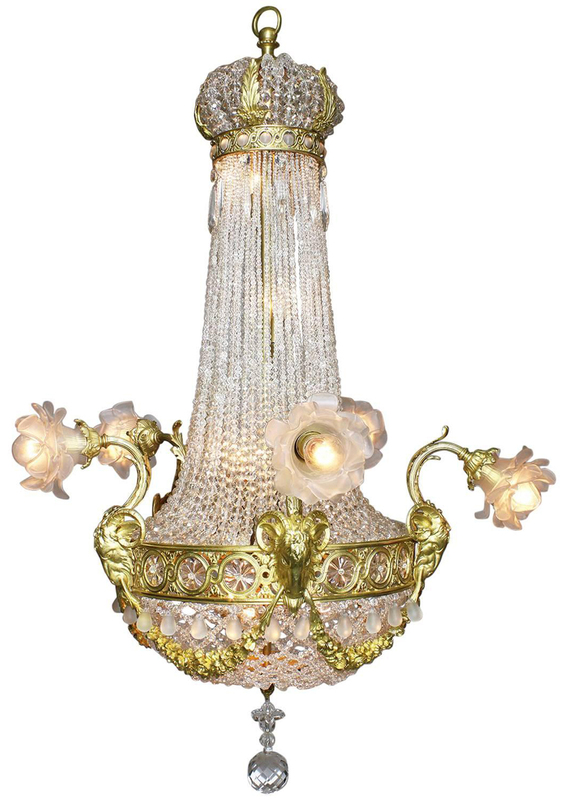 Circa: Paris, 1900.